If you haven't already figured it out by how much I have used it, I LOVE the new Simon Says Stamp Big Hello die. It is so perfect for cards. 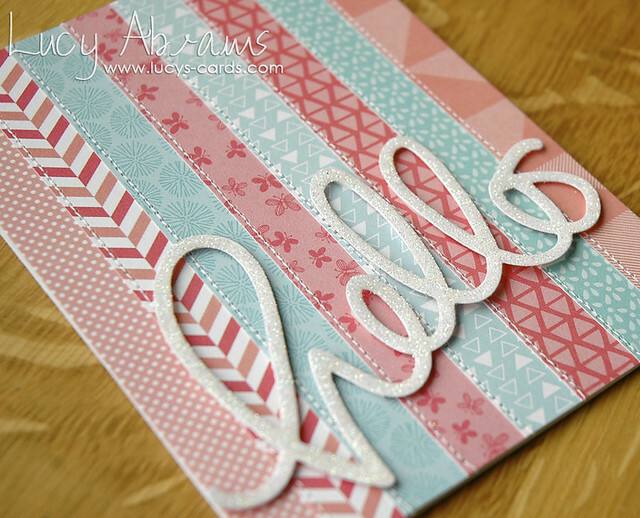 For this card, I die cut the Hello, then covered it in Glossy Accents and glitter. (THIS is my favourite glitter by the way). The background is created with papers from American Crafts' My Girl and Yes Please pads. Seriously, if you have not already ordered this die... get it. It's a good one!! 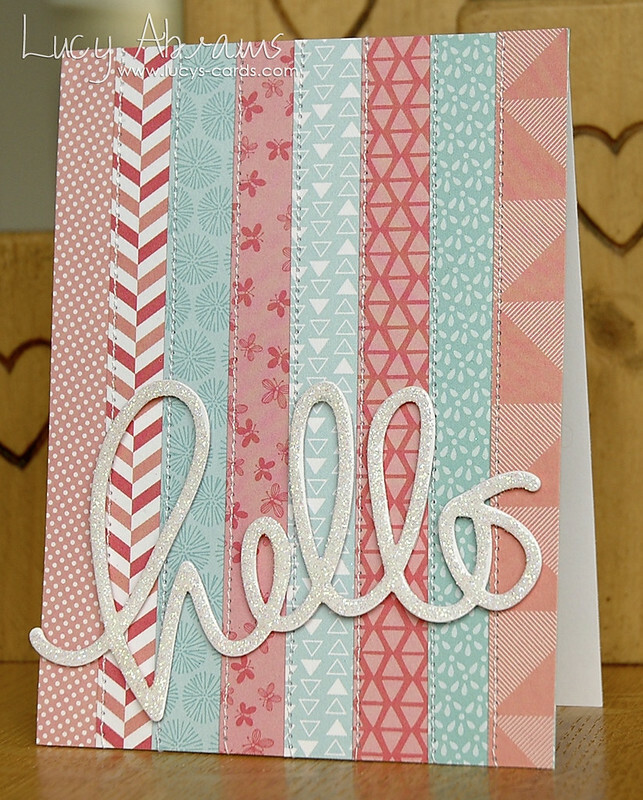 Love the glittered hello and the pretty papers you have used! Stunning - just adore it. Love, love, love this card!! I totally agree with you about this die, its perfect for cards. I would LOVE to get one but postage to New Zealand is too much at present and no one here stocks SSS, so will just have to live vicariously through all your wonderful designs!